"The Mississippi is well worth reading about. It is not a commonplace river, but on the contrary is in all ways remarkable. Considering the Missouri its main branch, it is the longest river in the world--four thousand three hundred miles. It seems safe to say that it is also the crookedest river in the world, since in one part of its journey it uses up one thousand three hundred miles to cover the same ground that the crow would fly over in six hundred and seventy-five." 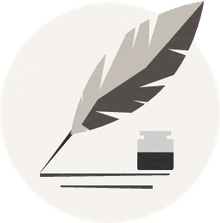 "The world and the books are so accustomed to use, and over-use, the word 'new' in connection with our country, that we early get and permanently retain the impression that there is nothing old about it." "Sired by a hurricane, dam'd by an earthquake." "When I'm playful I use the meridians of longitude and parallels of latitude for a seine, and drag the Atlantic Ocean for whales! I scratch my head with the lightning, and purr myself to sleep with the thunder!" "Now and then we had a hope that if we lived and were good, God would permit us to be pirates." "I was gratified to be able to answer promptly and I did. I said I didn't know." "Your true pilot cares nothing about anything on earth but the river, and his pride in his occupation surpasses the pride of kings." "By the Shadow of Death, but he's a lightning pilot!" "Here is a proud devil, thought I; here is a limb of Satan that would rather send us all to destruction than put himself under obligations to me, because I am not yet one of the salt of the earth and privileged to snub captains and lord it over everything dead and alive in a steamboat." "I felt like a skinful of dry bones and all of them trying to ache at once." "You can depend on it, I'll learn him or kill him." "The face of the water, in time, became a wonderful book--a book that was a dead language to the uneducated passenger, but which told its mind to me without reserve, delivering its most cherished secrets as clearly as if it uttered them with a voice. And it was not a book to be read once and thrown aside, for it had a new story to tell every day." "In the space of one hundred and seventy-six years the Lower Mississippi has shortened itself two hundred and forty-two miles. That is an average of a trifle over one mile and a third per year. Therefore, any calm person, who is not blind or idiotic, can see that in the Old Oölitic Silurian Period, just a million years ago next November, the Lower Mississippi River was upwards of one million three hundred thousand miles long, and stuck out over the Gulf of Mexico like a fishing rod. And by the same token any person can see that seven hundred and forty-two years from now the Lower Mississippi will be only a mile and three quarters long, and Cairo and New Orleans will have joined their streets together, and be plodding comfortably along under a single mayor and a mutual board of aldermen. There is something fascinating about science. One gets such wholesale returns of conjecture out of such a trifling investment of fact." "Give an Irishman lager for a month, and he's a dead man. An Irishman is lined with copper, and the beer corrodes it. But whiskey polishes the copper and is the saving of him, sir." "I've worked up a business here that would satisfy any man, don't care who he is. Five years ago, lodged in an attic; live in a swell house now, with a mansard roof, and all the modern inconveniences." "I found the half-forgotten Southern intonations and elisions as pleasing to my ear as they had formerly been. A Southerner talks music. At least it is music to me, but then I was born in the South. The educated Southerner has no use for an r, except at the beginning of a word." "In the South the war is what A.D. is elsewhere; they date from it." "War talk by men who have been in a war is always interesting; whereas moon talk by a poet who has not been in the moon is likely to be dull." "Sir Walter [Scott] had so large a hand in making Southern character, as it existed before the war, that he is in great measure responsible for the war." "The letter was a pure swindle, and that is the truth. And take it by and large, it was without a compeer among swindles. It was perfect, it was rounded, symmetrical, complete, colossal!" Humorist Mark Twain's Essay, "Two Ways of Seeing a River"
Why is Mark Twain Considered a Realist Writer? 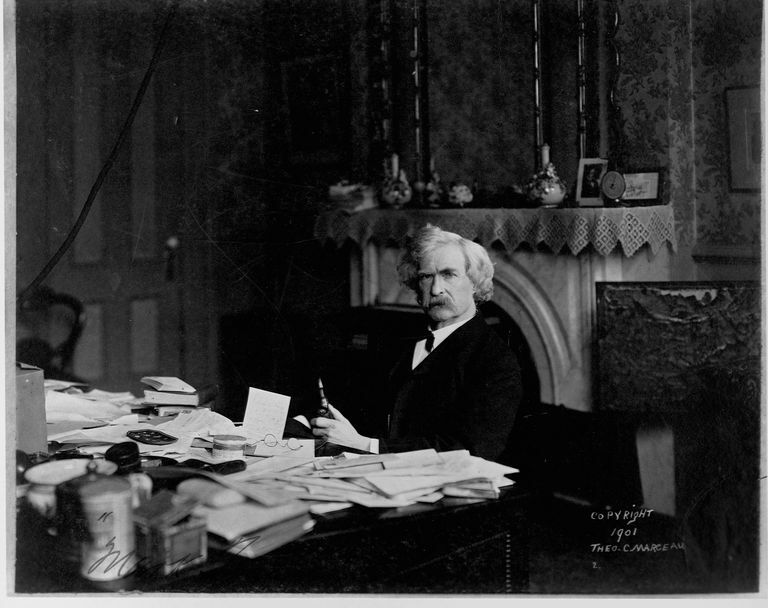 Why Did Samuel Clemens Use the Pen Name of Mark Twain? Do You Know These Catch-22 Quotes?